Hackers and geeks always tinkered with their devices, regardless of their operating system, and are always behind the ways to run Android on iPhone, iOS on Android phones, or Dual-Boot iOS and Android together in a single device. Though there are many solutions available on the Internet to solve these queries, but recently a hardware hacker has demonstrated a new way to run Android OS virtually on iPhone within an app i.e. without booting the iOS device. Nick Lee, the CTO of mobile development firm Tendigi, has created a specialized iPhone case, that when connected to your iPhone, will let your iPhone run a full-fledged version of Android operating system. This hack is not the first weird thing Lee did; he previously was able to get his Apple Watch to run Windows 95. Lee showed how everything from WiFi to the Google Play Store to the calculator app worked fine. 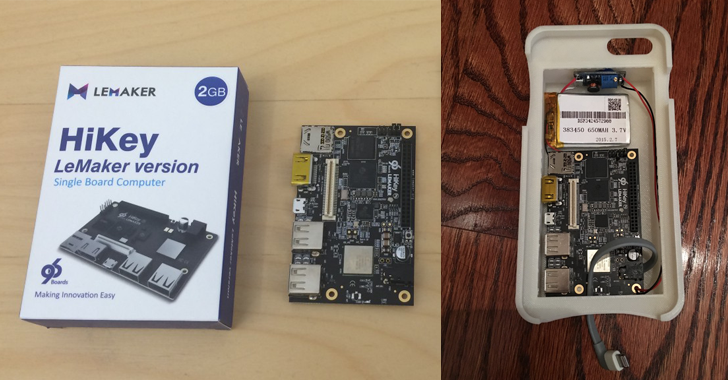 To run Android on iPhone, Lee first cloned the Android Open Source Project and built his own version of Android Marshmallow that he could run on a board he bought himself. "While its 8-core, 64-bit ARM Cortex-A53 processor has more than enough power to run virtually any Android app on the market, it sports a unique party piece: it’s the official reference board of the Android Open Source Project," Lee wrote in a blog post. Lee then 3D-printed an iPhone-sized enclosure and combined the board, battery, a resistor, and a boost converter. He also included SD card slot, HDMI and USB ports. You can check out his YouTube demo yourself, which shows Android running on the iPhone 6 Plus. 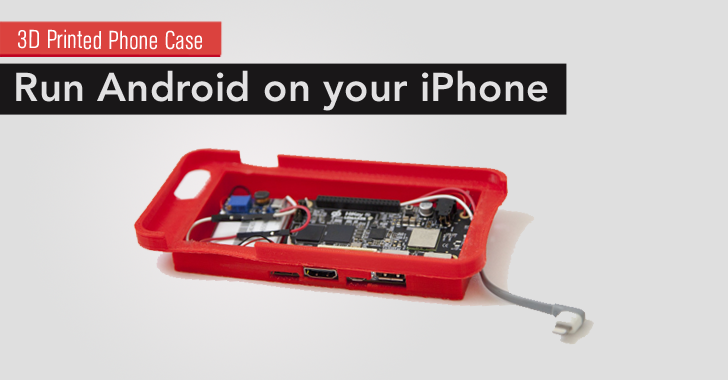 Lee created an iOS app that communicates with his custom-made case, and as you can see in the video, Lee was able to launch directly into Android after connecting the case to the iPhone’s Lightning port. Though the hack is not for an average user or practical for real-world use, it's an interesting take on getting Android OS to work with an iPhone.